Aquarium Use Decorative use, attached to bogwood or rocks. 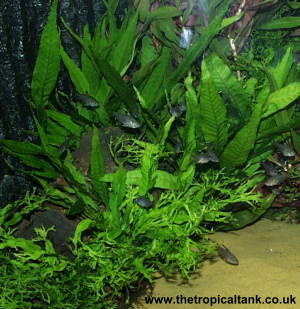 Two varieties of Java Fern can be seen in this picture, attached to bogwood. Comments A hardy and undemanding plant. It should be attached to bogwood or rocks, rather than planted in the substrate.